Tomorrow sees Jurgen Klopp take his new team, Liverpool to White Hart Lane to face Tottenham. The German who took over last week following the sacking of Brendan Rodgers will be hoping for a strong start to his new tenure but his preparations have already been hindered by the news that striker Danny Ings has been ruled out for the rest of the season with an injury. Ings, signed from Burnley in the summer fell awkwardly during his first training session with the new manager and will now miss the rest of the campaign after suffering an Anterior Cruciate Ligament (ACL) injury. It’s a bitter blow for both the player and the club who are already hurting after young defender Joe Gomez was also ruled out for the season with the exact same injury. Gomez, who arrived in the summer from Charlton picked up his injury playing for England’s under 21 team midweek against Kazakhstan. The young centre back had started his Liverpool career brightly playing in five of their eight league games so far as a makeshift left back under former boss Rodgers. But like Ings, he now faces a lengthy spell on the sidelines and will start his long road to recovery in the next few weeks. Strangely the injuries to Ings and Gomez are the latest in a series of cruciate ligament injuries that are ravaging Premiership clubs. In total six players have fallen foul of this injury in as many weeks, with the Liverpool duo joining Bournemouth trio Max Gradel, Callum Wilson and Tyrone Mings on the sidelines. 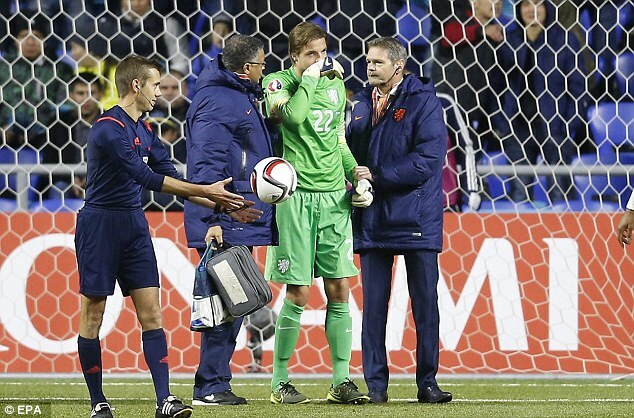 Newcastle stopper Tim Krul is the sixth player to suffer the same injury after pulling up whilst playing for Holland in their European Championship qualifying match against Kazakhstan. 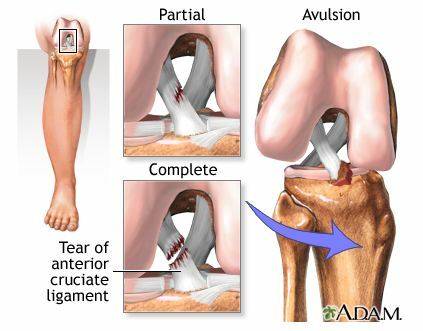 An ACL injury is the over-stretching or tearing of the anterior cruciate ligament in the knee. A tear may be partial or complete. The severity of the injury usually dictates how long the player will be out for and what treatment is needed. Like Ings and Gomez, Krul and Mings are expected to be out for the rest of the season whilst Gradel and Wilson hope to be back playing within six months. Some will require surgery to repair the damage whilst others will be able to avoid this. But all six players will need months of physical therapy to help improve joint motion and leg strength as they look to get back as quickly as possible to playing. Why these injuries have happened to the six players is unknown with many in the game looking for a common thread to connect them all. One newspaper has loosely connected the dots and shown that all six players were wearing Nike boots at the time of their respective injuries, suggesting that the new style of boots could have played a part. Four of the six were wearing Nike’s Magista boots, while Ings and Gradel were both in Nike’s Mercurial Vapor X. But experts have shot down this link claiming that the boots that the players wear has nothing to do with it and that it was merely a strange coincidence. Nike has also denied that there is an issue with their boots highlighting that all six injuries happened under different circumstances and in different pitch conditions which could have also played a part. Indeed this type of injury is extremely common in the sporting world with football players in particular vulnerable to it. An ACL injury can occur due to a hard hit to the side of the knee, such as during a tackle or when the knee is overextended due to clearing or kicking the ball. But its most likely to happen when a player quickly stops moving and changes direction whilst running, jumping or turning. This is exactly what happened to former Liverpool, Real Madrid and Newcastle striker Michael Owen during England’s 2006 World Cup group game against Sweden. Owen suffered a rupture of his ACL after turning quickly to lay off a pass to his teammate, falling awkwardly in the process. It ruled Owen out for the rest of the tournament and for a large part of the following season. After rebounding from the injury, Owen would play for seven more seasons but was never quite the same player as he was before his ACL injury. This is the risk that most players face with this type of injury. The road to recovering from the injury itself is a long and painful one but the long-term damage to a player can be more devastating. As many former players will testify, once you suffer from a bad knee injury, you can never quite reach the same heights as you once did. Four of the six players are young enough that they may recover and still have lengthy careers but for Krul and Gradel who are both 27, the injury may take more out of them than first feared. Both players will be hoping to return to action in time for pre season next year but the lingering fear of a re-occurance may be a psychological barrier that they can never really recover from.